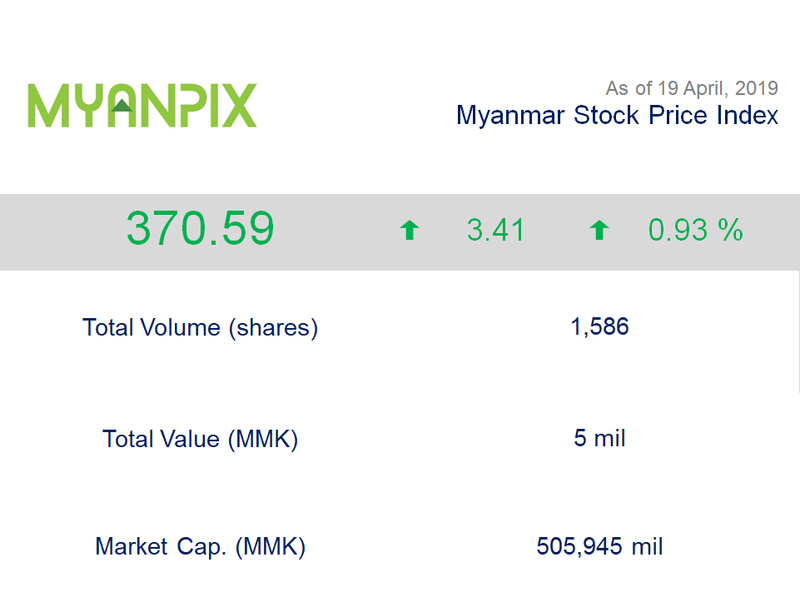 Myanmar Stock Price Index (MYANPIX) is a Yangon Stock Exchange (YSX) calculated stock price index in a method of market capitalization-weight, which represents price fluctuation of an overall stock market and is regarded as the benchmark index for the Myanmar’s stock market. The base point and the Base Market Value (BMV) are Myanmar Kyat (MMK) 1,000 and 100 billion respectively, and started to be calculated from 25th March 2016, the first trading date of YSX. * Unit value of a stock index calculated in a method of Market capitalization-weight is, in principle, “point”. MYANPIX, however, adopts “Myanmar Kyats (MMK)” as its unit value as YSX put investors understandability ahead of mathematical precision.